Hello and Happy Wednesday! We’re talking chocolate cake today, so let’s get right down to business. Because when it comes to chocolate cake, I don’t mess around! packed with real chocolate flavor… and lots of it! But of course, we’re not striving for just “acceptable”! 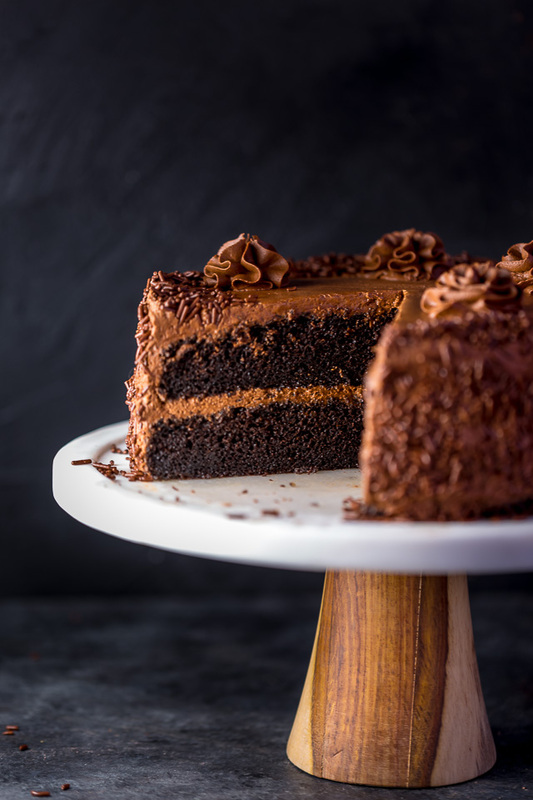 We want amazing… epic… bakery-quality chocolate cake that makes our guests swoon and leave begging for the recipe. We want a recipe so perfect it makes its way into our “forever file” after just one try. 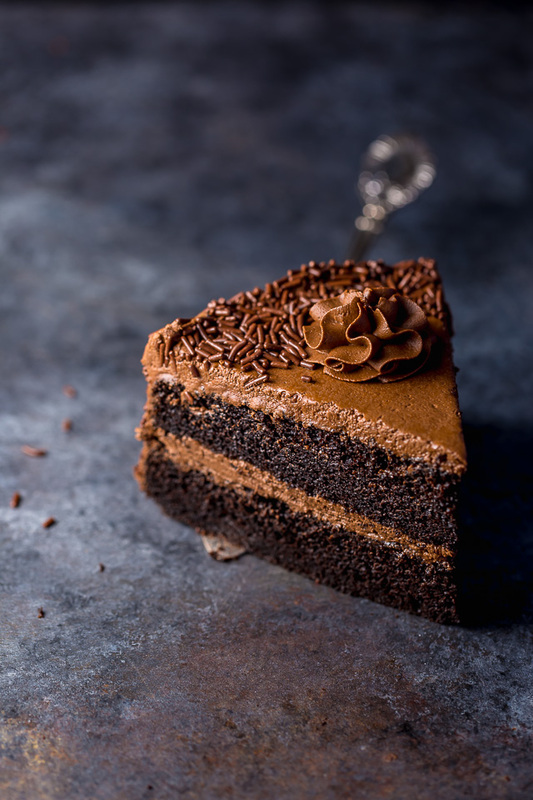 And of course, we want a chocolate cake that’s made with simple ingredients and an easy to follow method so we can whip it up whenever a craving strikes! And that, my friend, is where this super decadent chocolate cake with chocolate fudge frosting comes in! 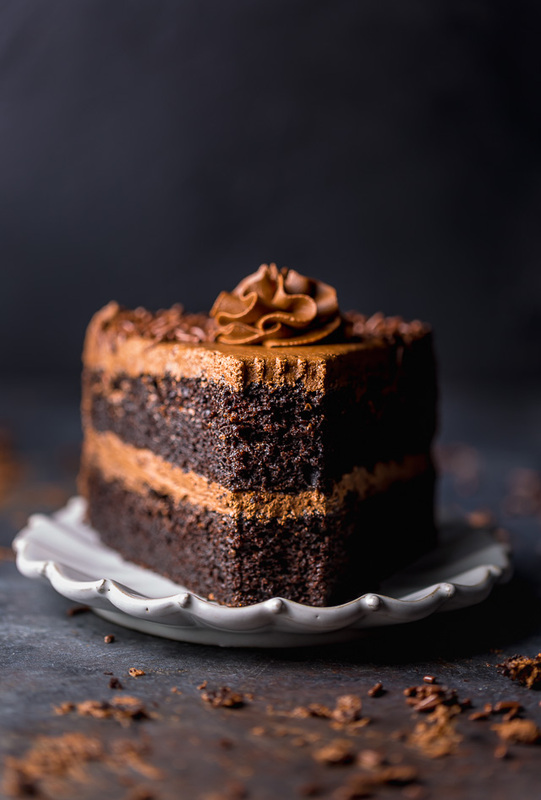 It’s super decadent, meets all of the “perfect chocolate cake qualifications, and is a must try for chocolate lovers! After one bite, I know you’ll agree this one is a keeper with a capital K! Because cold ingredients don’t bind evenly, you’ll want to make sure your eggs, egg yolk, sour cream, and milk have all come to room temperature before you begin baking. When measuring your flour, it’s important you’re not packing it into the measuring cup. Packed flour will yield a dense and dry cake. So either fluff your flour up, sprinkle it into the measuring cup, and level it off, or weigh it! It’s also important not to over mix the batter! Over mixing can lead to dry baked goods, and can even cause them to crack. The cake layers should be baked on the middle rack of your oven. Of course, you don’t want to over or under bake! Over baked cakes will be dry, while under baked cakes will sink the middle. And avoid opening the oven until you need to check if the cake is done. Finally, your cakes should be completely cooled before frosting. Otherwise the frosting will melt onto the cake and make a big, gloppy mess! So… are you baking this chocolate beauty today, or what!? This post was updated and republished 4/12/2017. Hi Kat. You can use 1 and 1/2 cups of hot water or coffee. The coffee does come through a little bit, so you may want to use water just to be safe. Can i use fondant over this cake? Hi, can you recommend a cake recipe either chocolate or velvet which i could cover with fondant for our wedding cake? Thanks! Half and half is 10% cream. 1/2 milk 1/2 cream. In your dairy case. 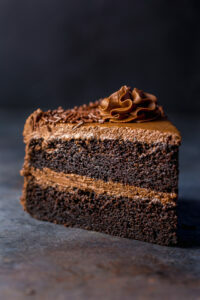 The next time I eat cake, I’m so making this <3 Chocolate love!!!!! Love the pictures too! If I would make this cake I would eat it all without sharing, it looks delicious! Whoa! Now that’s a decadent chocolate cake and I want now! I love that this is egg free too. Pinned! Where are you seeing no eggs? It’s got 2 whole eggs plus 2 additional egg yolks! You do know that there are 2 eggs and 2 more egg yolks in there? That fudge frosting is calling my name, what a gorgeous cake! Oh my!!! This looks amazing and is just decadent!! Ash I want that for my Birthday lol. Rochelle, you look super sweet dark and delicious. I have no words…. this cake looks spectacular!!! this looks like a masterpiece! that i am sure would go brilliantly well with a cold glass of milk. beautiful photos too! Oh girl, I’m hungry now! 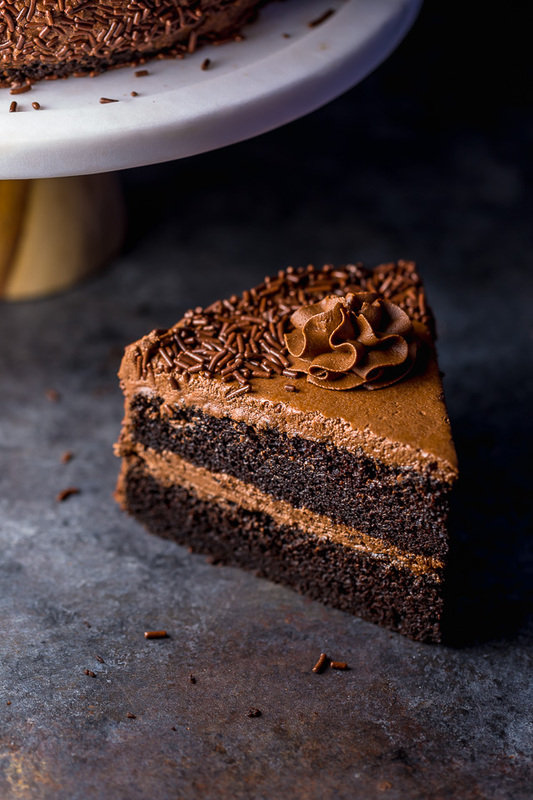 I love chocolate….especially in cake form! I AGREE 100%! This is my idea of THE PERFECT chocolate cake! Pinning! This cake looks just irresistible! Making this right now and the house smells delicious! This looks amazing. Has anyone made this and substituted the coffee for decaf (does it matter?) because I want to make this a kid friendly cake. What can I substitute for coconut oil? Family member is allergic to coconut. This cake had a good flavor. The frosting was nice and rich also. But although the cake was moist, it was very crumbly when frosting it and when cutting it. There was a large mound of crumbs after slicing it up. And even when eating it, it fell apart. I wonder if it had to do with no eggs in the recipe? Do the eggs help hold the cake together? It’s a shame because the cake took a good bit of time to make. Hi Trisha. I’m so sorry you found the cake to be crumbly. Two questions – 1) Were you able to slice it? 2)Did you let the cake cool completely before icing? As you can see from my photos I didn’t have a problem with the cake crumbling and it stayed completely intact while eating. I’m going to retest the recipe again just to be sure. This cake is in the oven! I only had 8 inch pans and it made 12 cupcakes as well lol lots of batter with this cake. I will let you know how it turns out. I am making a caramel cream cheese frosting with it. side note Trisha i did use eggs with it. Where are all of you getting that this cake has NO Eggs… this recipe clearly calls for 2 Whole EGGS and 2 Egg Yolks! The recipe I’m looking at calls for 2 eggs and 1 egg yolk. Hi!!! I would like to know how can I susbtitute coconut oil?? ?there is not possibility to find it out in my city…Maracaibo, Venezuela….can I use cannola oil????..Thanks!!! Hi Doreen. So sorry to hear you thought the cake tasted strong of coffee. When I tested the recipe I found the coffee wasn’t noticeable, but you could use hot water next time. clearly states you can use water instead of coffee. Hi Micaela! Half and half is half milk/half cream. It’s typically found in the dairy isle near milk. 2. I see some comments say that there are no eggs in the recipe, did you add them later or am I missing something ? Can you please help me. I want to try and make this recipe, but want to substitute the coconut oil. Did you use coconut oil in the liquid form. Do you have any advice on what I can use as a subsitute and do I use the same quantity (of say canola oil or vegetable oil) ? I read in the above comments something about canola oil and an egg. Will the cake then not turn out too eggy since there are already 2 eggs and 2 egg yolks in the originak recipe? I just finish making this cake! I can’t even explain you how delicious it is. I made many chocolate cakes, this on is by far my favorite! I would like to try this recipe, but I am allergic to butter. What could I substitute for the butter in this recipe? Making this right now and after adding only 1 c coffee it seems really runny. Think i will leave out the other 1/2 cup and see how it turns out. As far as the other comments about it being egg free…the recipe i am using says to use 2 eggs and 2 more egg yolks. Maybe that is why Trisha’s cake was so crumbly? I had high hopes for this cake, but sadly it was disappointing. I made it for my husbands birthday (a chocolate lover) in the hopes that it would turn out as chocolatey and fudgy as advertised. I followed the recipe to a T and the cake turned out beautifully moist, however bland, and the icing was far too sweet, not rich. I do plan on trying this recipe again, with some minor tweaks to see if that helps. I thought it was a little bland as well. Wasn’t as rich as I was expecting. Definitely needs more salt, and a little more sugar would probably help too. The batter tasted divine before cooking. I haven’t made the icing yet. Thanks for the info, I’ll go ahead and tweak it a little. Maybe add some instant coffee granules and more chocolate, or sub out some cocoa powder for some of the powdered sugar. What do I use instead if I don’t have coconut oil? Hi Marg. The coconut oil needs to be melted down to a liquid before adding it to the cake. Good luck! Oh, that looks wonderful! I love coffee in chocolate cake – you’re right, it totally enhances the flavour. Yes! Coffee in cake for life 😉 Thanks, Teresa! Hi Beka! Not silly at all 😉 I did not sift my flour, but you could give it a try if you want 😉 I just lightly scooped the flour into the measuring cup and leveled it off with a knife. Hi Kim. You can simply just swap out the coconut oil for canola oil. The batter will be thin, but that’s how it should be 😉 Good luck! Hi, I live in Johannesburg, South Africa and coconut oil is readily available everywhere. Could possibly be something you didn’t notice available since you never had the need for it? I just made this cake yesterday, and it was great- hands down, best chocolate cake I’ve had. I will definitely be making this again. Thank you for the recipe! I’m going to make this awesome cake for my boyfriend’s birthday. Just a question, we cxelebrate his birthday tomorrow evening, but I don’t have time for a cake tomorrow. Is it ok if I prepare the batter today and finish the cake with frosting tomorrow? Will the cake (baked part) still be good and delicious if it will be in fridge for 24 hrs? Hi Ramina. You can bake the cakes today and pop them right in the freezer (right after you bake them; still hot) and flash freeze them. Once they’re frozen solid, wrap them in saran wrap. Then set them out on the counter a few hours before you want to ice them. Hi Michelle. This cake may take longer to bake in your oven than it did in mine, even if yours is indeed at the right temperature. I would just continue to bake it until it’s set in the center… I wish I had more advice but since I’m not there with you, it’s hard to say what went wrong. This recipe will yield two very thick cake layers, so the amount of batter sounds about right. Let me know how they turn out. Good luck, dear! Any Eggless Version???? Can I use milk maid instead of eggs?? Is it also possible to use white chocolate for the frosting? Hi Nicolette. I have never tried with white chocolate, so I am unable to say if it would work or not. Hi I plan on making this cake but I’m used to the conventional method of creaming and then alternating wet and dry ingredients when adding them to the batter. The recipe here requires mixing some of the wet ingredients with the dry first and then adding the eggs and fat. Does this method produce a moister cake with tender crumb? What is the science behind this particular way of mixing the batter. Thanks in advance for any tips you offer. how much coffee and water did u use? What measurement of coffee grounds to water, do you use to what you consider “strong”? I’m not an avid coffee drinker, but LOVE chocolate/coffee combination though I have never made it. So, with that admission (Lol) on my part, do you think 1 cup of grounds to the 1 1/2 cups of water be too much? I’m just trying to get an idea of what to use, so as not to be “too much” Lol! Thank you very much! I can’t wait to make this cake and frosting! It will be perfect for my upcoming birthday 🙂 Have a wonderful week! Hi Denise. I brew my coffee in a french press, and use 6 tablespoons (usually just Strabucks Dark Roast) to 4 cups of broiling hot water. Then I just use a cup from that pot. I think 1 cup of grounds to 1 1/2 cups of water would definitely be way too strong 😉 What kind of coffee maker are you using? Hi, I have made the cake yesterday. The followed the recipe exactly as u have said. It was just awesome. My hubby and my son loved it. Thanks for posting this recipe. Can I use all purpose gluten free flour instead of regular flour since I am allergic to wheat? Hi Susan. I’m not sure 100%, but I believe a cup-for-cup GF flour replacement could work. Jesus Christ. Where do I even start? Anyway, I bought the coconut oil for it and it sat in my pantry ever since–but tonight was the night! Now, I was only planning to make 1 layer, to sort of try the recipe out, so I halved the recipe but guess what? It was more than enough for two pans! I don’t know how but I’m not complaining! At first I was worried when I noticed how runny the batter got with all that coffee, but I whacked all of it in anyway because “it might be fun”. And it was. Oh boy it was. I was also worried about how it would bake in my oven, because I have a crappy electric oven that’s usually hopeless for… most things really. That’s why I halved the recipe–so my layers would not be as tall. Baked them one at a time at 350 F/175 C as you directed, but ended up done after only 20 mins in there. Super smooth! 😀 And the best part is both layers baked PERFECTLY. I didn’t even get a crusty/crumbly top or edges like I usually do when baking anything larger than cupcakes 😛 The whole thing is just magically moist and evenly baked throughout! Taste: fantastic. Smell: fantastic. Texture: fudgy and soft and just literally melts in your mouth. Appearance: unbelievably beautiful. Hi Marie! Your comment really just made my day 🙂 I am so so soooo happy this cake was a hit for you! And thank you for all of your thoughtful, generous comments. Happy baking to you! Oh yay 😀 My pleasure! Always great to put a smile on someone’s face! Oh and one more thing, while I’m at it. If there’s someone else out there having trouble finding unsweetened chocolate in their store, I found a page that guides you through the process of converting into using semi-sweet by altering proportions of chocolate, sugar and butter 😀 I used it, and it obviously came out great! Definitely bookmarked! made this tonight and it was sooooo good! Only one small thing, I must have done something wrong with the frosting. It was delicious but was a little runny. I am not super good at baking. I tried to follow your directions but must have messed up a part. Any idea why mine would be runny? It didn’t present well because of that but luckily I was just making it because so we all ate and enjoyed my funny looking but oh so good cake. I will try again for sure, this cake is so good it is worth the effort it will take me to learn to make it right. Thanks for the post. This looks absolutely beautiful and delicious! I want to try out the recipe for my cousin’s engagement party, but I’m concerned about how it would hold up under fondant. Any thoughts would be appreciated! Hi Hayley. I have zero experience with fondant, but this cake is pretty sturdy, so if it’s a thin layer, it should hold up. I had the worst experience with this recipe. Way too much flour. Way too much sugar. It came out disgusting in fact and I followed every part of the recipe. It also made way too much batter, I could have made four cakes. Hi Cara. I’m sorry to hear you didn’t enjoy this recipe. If you’d like to troubleshoot any of the issues you had please let me know. Many readers have had wonderful results with this cake so I’m always curious to know what went wrong. Best, Ashley. We made this cake today in honor of International Guitar Month! how much is 1 stick + 6 tablespoons unsalted butter, melted in grams? am I reading this right? Melt the butter completely? And how much water do I add to the 1 1/2 cups of coffee? Thanks a bunch! I have the coconut oil that still has the coconut flavor in it. Is that going to really mess with the flavor of the cake? Hey there, I’ll definetly try this cake, but how much is 1 stick of butter? 100 grams or 200? Hi Zahra. One stick of butter is 4 ounces. How do you slice the cake so perfect?! Making hubby bd. i cat seem to find any sour cream, what can I use as a substitute? Tip for sifting. I use a whisk and work it in the bag or container of flour. Heat and humidity can alter the density of flour. Storage conditions are not always ideal. Flour can also be put in the Freezer. The cake looks delic. Coffee makes all the difference. If using a ganache icing which is so good and easy to make. .In Canada our large choc bars are 100grms = 3.5274 oz. Can you use something other than coconut oil such as butter or canola oil? I made this cake for a friend’s birthday. I’m not a baker, but the recipe was very easy to follow and the cake turned out perfectly…well it wasn’t as pretty as the picture, but it was rather delicious. I highly recommend this recipe! Hi Carolina. This recipe yields one double layer cake. Each round is 9″. Hi Gwyneth. 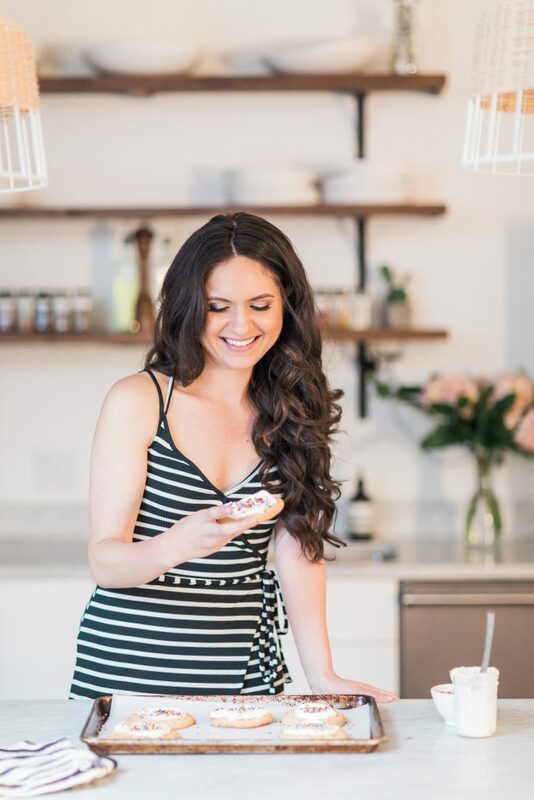 As this time I am only posting my recipe is US measurements (I plan on changing that in the future) but there are many online tools that could help you convert this recipe into the measurements you need. Hi! I wanted a completely decadent chocolate cake for my birthday so I tried this recipe. It turned out okay, but wasn’t as flavorful as I was expecting. Also, it seemed like a lot of flour. After mixing the dry ingredients, I could barely hand mix the first two wet ingredients in and even had trouble after adding the rest of the wet ingredients! I do not have a stand mixer, but was unable to use my hand mixer because the batter was so thick! I used the exact measurements – 4 cups of flour, 3 cups of sugar – I store my flour in the fridge – would that mattter? It was not until I added the cup and a half of coffee that after yet more manual mixing I was able to use my hand mixer. The icing was delcious, by the way. Also, faux pas on my part – I did not have 9 inch cake pans so I filled two 8 inch ones to the brim – high cakes!!! For the lower tier I sliced the top off to make it level, and I should have done same with the other one, but liked the height, so I left it as is on top so it was rounded. But afterwards I realized this made for too much cake and not enough icing in a bite. I should have followed one of the comments and saved some batter for cupcakes or something else. The cake came out okay, but I guess I was expecting more flavor. Hi Anne Marie. Happy belated birthday! I’m sorry you weren’t thrilled with the results of this cake recipe. It’s strange, some readers rave over it while others don’t care for it as much. I plan to retest this recipe soon and make some updates if needed. Thank you for your feedback. I’m not sure what happened or where I went wrong but I make the frosting and it turned out like cake batter. Wasn’t fluffy and whipped, it was runny and really wet. I added at least one more cup of confectioners sugar and still didn’t thicken up. Where did I go wrong? I loved the way this cake looked and sounded but the directions were unclear. The directions didn’t mention melting the coconut oil first. What butter to use where. Also how much vanilla in what parts. If these were more clear I have no doubt it would be nice. Just made this cake for Valentine’s day for my family and all I can say is WOW! This is exactly what I was looking for and the best chocolate cake I’ve ever made. 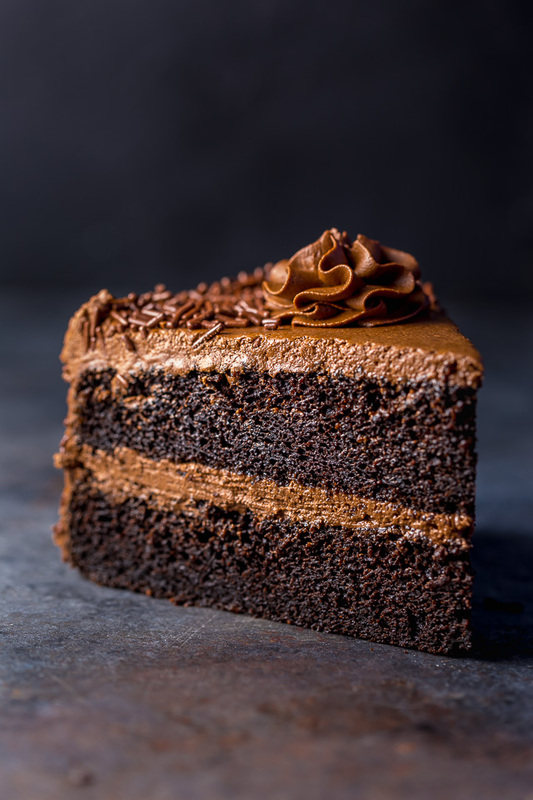 I’m a serious baker and have been having trouble finding a scratch chocolate cake recipe that can pass the WOW factor test and this is it. Thank you so much for sharing this recipe and I will be making this a lot for years to come. My favorite cakes to make are chocolate ones. So I will try your cake recipe. I do not drink coffee or own a coffee maker so I ask can I add instant coffee crystals to the hot water and if so how much coffee crystals would you suggest makes strong coffee? Also one of my daughters friends is allergic to coconut you said we could use canola oil and add an extra egg or not. Is it truly okay to not use the extra egg with the canola oil? I think that’s the questions I have. I wanna bake this cake as it looks awesome. Im nit such a good baker but i wanna give it a try. Can i bake it in a microwave as i dont own an oven? If yes, at high speed or low speed? And for how mucch time? Plus can i substitute butter for oil and readymade chocolate for homemade cocoa, milk and buttrr made chocolate? And yes about the milk, can i use full fat milk? Hi Rabia. You cannot bake this cake in a microwave. You cannot sub oil for the butter without changing the taste and texture. Full-fat milk will work fine. Good luck! Hi I want to try this beautiful cake but am just stuck how much coffee granules should I put in 11/2 cup of water I have only Nescafe coffee pl guid so I can try it as soon as possible thanks. I would say add two tablespoons of coffee to the water, for a strong coffee flavor. You could also leave the coffee out and just use hot water. I love to bake. Reminds me of being in the kitchen with my grandmother and great-grandmother. Thant said, chocolate cake from scratch is always a difficult cake for me because they seem to always be lacking something. Always off balance! I work as the only woman with 10 men and I bake each a desert of choice for their birthday. I’m baking this cake for one of my guys’ birthdays tomorrow. I followed the recipe to a tee, only I sift all dry ingredients after measuring (unless specified to sift prior), just a habbit my grandmothers taught me. I was very worried about the thickness of the batter after adding the milk and sour cream… but I kept going. I was holding faith in my fellow baker! Adding the next set of wet ingredients did wonders! It was slightly thinner than a box mix to me, but not so thin I worried about it. My problem was a had A LOT of batter! I filled 2 9″x1.5″ rounds 3/4 full, a 4″ round spring form 3″ deep, 6 cupcake liners, AND had some left I dumped into a corning ware 3.5″ square baker. Holy moley this recipe makes CAKE! It bakes BEAUTIFULLY! I had to keep checking on all my small cakes, so my times were all messed up, but everything baked evenly. AND TASTES FABULOUS! I dug into a warm cupcake a d it is great! A nicely balanced flavor, light and airy and moist. I haven’t even iced these yet, I was so excited about how well these baked up after seeing such an unconventional batter while I mixed! If that icing is as good as this cake is, the boys are going to be asking for ine every week! I do not often like cakes that I make as I find they are dry, but this one was so good!! However, next time I will have to make the mixture in two lots, as it was falling out of the bowl that goes with my kitchen aid! Makes a massive amount of batter! Other than that, absolutely love it (although I didn’t make the frosting, I just made a vanilla buttercream). It was so rich and reminded me of a lighter mud cake – YUM! So happy to hear it, Bronte! Can you substitute anything for the vanilla extract in the icing? Just tryi to avoid another trip to the store. Hi Sara. You can just leave it out 😉 It won’t change the taste too much. Making cakes has always been a breeze for me, but this cake came out incredibly dry and dense with little flavor. The only thing that saved it was my frosting which was my own recipe, not this one. I am Carolien from The Netherlands and I have a question about the frosting ingredients. What is 1/2 a cup Half and Half? Hi Carlien. Half and half is a dairy product made up of half cream and half milk. 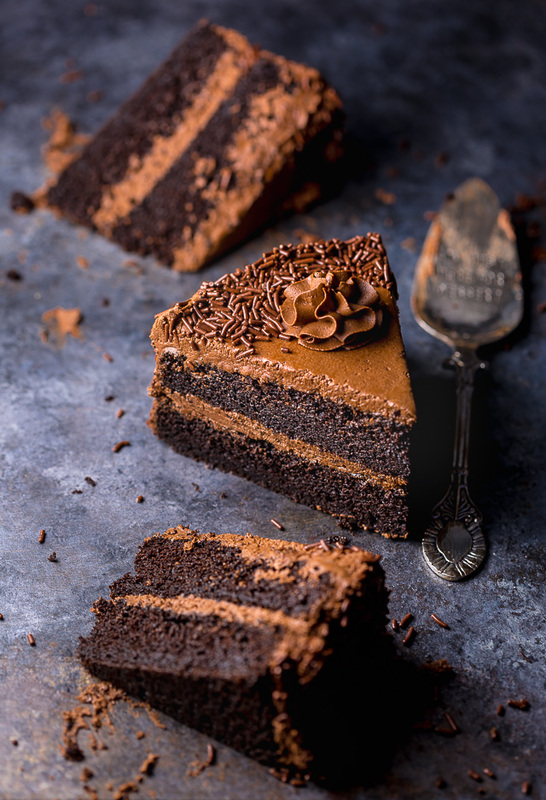 I’m happy that you shared this Super Decadent Chocolate Cake with Chocolate Fudge Frosting recipe with us. It’s really nice. Thanks, Bakerbynature for sharing this wonderful recipe. This cake looks so perfect! For the frosting, you said to use unsweet chocolate but then recommended the Hershey’s dark chocolate, which is a bittersweet chocolate. Is that what you meant? Unsweet chocolate has absolutely no sugar so I just want to clarify. Thanks! Can anyone recommend the best possible kind of unsweetened cocoa powder to use with this recipe please!!!!???? I cant find half and half in my country. Can I use cream and milk separately. How much ?? How much does one stick of butter weigh ?? This cake is very good, but I had problems. There was too much batter for 2 9″ cake pans. I went ahead and followed directions for pans and put excess in a loaf pan. The layers were very high. I waited 10 minutes for cooling and they stuck to pans. I sprayed the pans with oil. Next butter and flour. When I turned them over both layers cracked into many pieces. Into the garbage. No way to save. Next time will make 3 layers. From reading questions I did discover one mistake I made. I didn’t liquefy the coconut oil. Maybe this was the culprit. 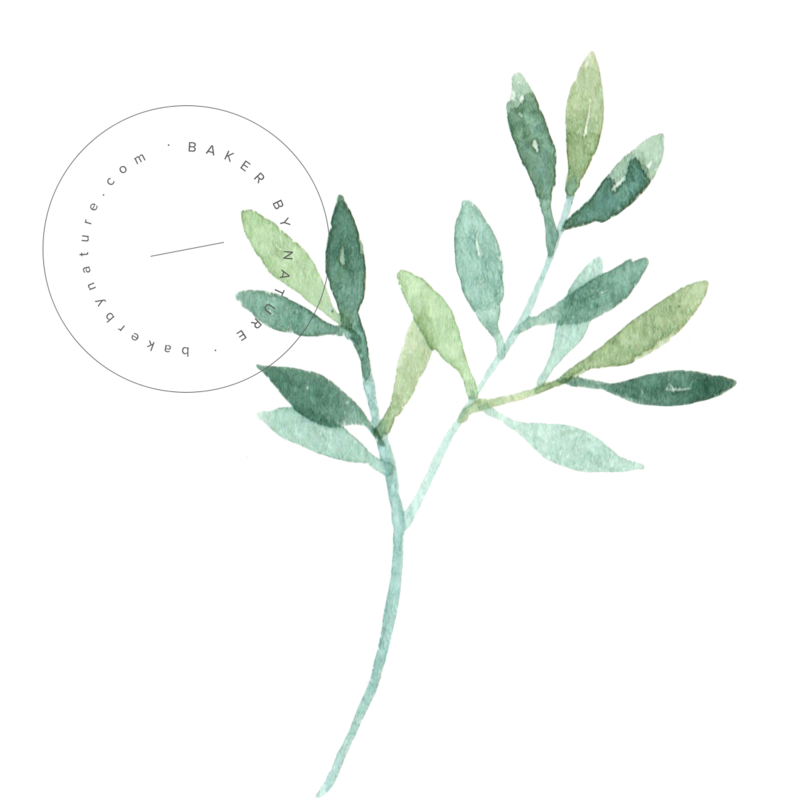 I think next I will use safflower oil. Will definitely make again and hope for better result. I had made the frosting the day before so frosted the loaf and took it to a friend for her opinion. She owns a restaurant and she loved it. Froze remainder of frosting. The coconut oil is a solid fat and should be used as a solid fat similar to butter or shortening. I made this today and replaced it with shortening. I realized early in the mixing that the math was wrong and greased and floured 3 9 inch pans. next time I’ll use 4 as these still came up very high in the middle. I pinned your recipe this week as my Saturday fun activity. I regularly test new recipes and need to point out some flaws (yes, three years late). The math is wrong for the pan size and number of layers. This recipe has 8 1/2 cups of dry ingredients and 5 1/2 cups of wet ingredients. That’s almost 8 cups of finished batter, entirely too much for 2 pans. I greased and floured 3 9 inch pans and should have used 4. Someone not familiar with baking would have spent the rest of the day cleaning out their oven. Even using three pans the cooking time was 40 minutes, so 45 minutes for two enormous layers would be uncooked. Other comments asked about substitutions for coconut oil. It is a solid fat and can only be replaced with another solid fat, either increase the butter or add shortening. I really want to try this cake but can i leave out the hot water? My other recipe that I use also calls for hot water or coffee but I always leave it out and it turns out great. Hello! I would love to try this recipe, but my husband is allergic to coconut oil. Could your recommend a substitution? Curious as to the rationale for the high proportion of ingredients? There seems to be a lot of flour, fat, and liquid for a two pan cake. And the ratios of those to each other are quite a bit off from what is typical of a butter cake or high ratio cake. I also see the amount of leavening seems small for the amount of flour as do the eggs. Also, does the melted butter and coconut oil behave like regular oil in the batter? Hi Ashley!! How do you get that perfect cut?? Can you share that please? My daughter found this cake and texted the site to me and asked me to make it for her birthday. I made the cake on April 5, 2018. We enjoyed the cake so much so I decided to make it again for my grandson’s birthday. However, the recipe above is very different from the one I made just a few days ago. The icing is different too. I clicked on the same text my daughter sent. But this is the recipe that keeps coming up. Is there a way to get the other recipe? It had 2 eggs and 2 egg yolks. 1 1/2 cups coffee. The icing had half and half. If you can help, I’d appreciate it. Hi, we are making this cake today and although milk is listed in the ingredients it isn’t listed in the recipe? will this be too much batter for a 9×12 casserole dish? makin this today hopefully! I think it will be too much for that size pan. Hi there. I made this cake before the recipe and loved it. I noticed the last time I made it that the frosting recipe has changed – any chance you could send me the original recipe? Thanks!